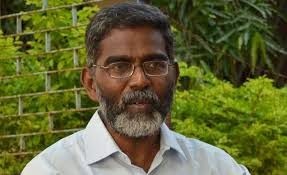 Chennai: An Intelligence Bureau report on NGOs that organize protests against India’s development projects while receiveing foreign funding has named anti- nuclear activist S P Udayakumar as having connections with US and German authorities. The report said NGO-inspired protests had pulled down India’s GDP growth by 2-3%, and named Greenpeace as “a threat to natinal economic security”. It is said that in July 2010, Udayakumar received a contract from the Kirwan Institute for Study of Race and Ethnicity at Ohio State University, US, as a consultant on ‘group, race, class and democracy issues’. 4. My client states that Mr. S. A. Rizvi, Joint Director, Intelligence Bureau (MHA), has, by stating that my client was involved in a conspiracy of an intricate network aimed to take down India’s nuclear program through NGO activism by means of foreign funds, committed an offence punishable under Section 500 IPC since the said imputation made against my client directly, in the estimation of the members of the public, lowers the moral character of my client and also lowers the credit of my client. The said imputation about my client is an utter falsehood. By making such imputation, the said Joint Director, IB (MHA) has harmed my client’s reputation beyond words. 5. My client states that since Mr. S.A. Rizvi, Joint Director, Intelligence Bureau (MHA) has deliberately released a secret document to the press with a view to harming the reputation of my client and since he has made defamatory allegations against my client in the disguise of interpreting a report relating to the actvities of Indian NGOs, appropriate departmental disciplinary action deserves to be initiated against the said Mr. S. A. Rizvi immediately. KINDLY TAKE NOTICE that if you do not, within seven days from the date of receipt of this notice, initiate appropriate departmental disciplinary proceedings against Mr. S. A. Rizvi, Joint Director, Intelligence Bureau (MHA) for his grave misconduct of releasing a secret document relating to internal security of the country to the press, my client would be constrained to approach the Hon’ble High Court of Judicature at Madras for issuance of an appropriate WRIT against you.